When it comes to our roofing services, there’s hardly any project we can’t tackle. We will provide a roof estimate to any customer in Simpsonville. Roof Estimate in Simpsonville – It’s hard to see the roof on your home or business, so it becomes nearly impossible to know when it’s time to have it replaced. 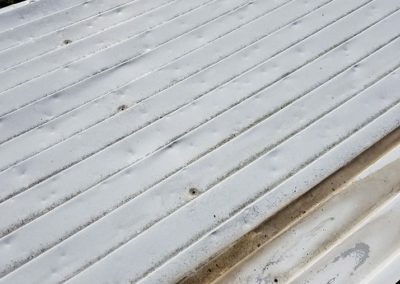 If you wait to fix your roof until water is coming into the structure, you will face a lot of other problems, such as damage to possessions, flooring, and drywall, as well as the risk of mold growth. 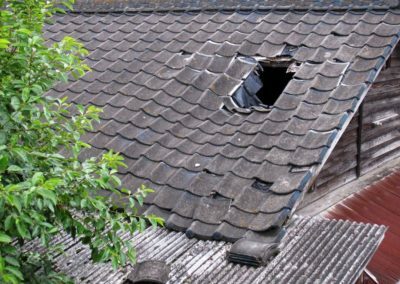 It’s always better to fix a damaged roof before it gets to this point. Most shingles used for roofing last between 20 and 25 years. However, keep in mind that that shingles installed over the top of older materials often don’t last as long as a full replacement roof. Metal roofs can last longer, but it’s always good to bring in an expert at least once every 5-10 years for an inspection, no matter what type of roofing you have. At that time, you can get a roof estimate from the professional if he or she recommends repair or replacement. When you drive up to your home or office, take a glance at the roof when you are far enough away to see it. Missing shingles, lots of shingle granules in the gutters, or pieces that curl or buckle are signs that your roof needs some attention. Head up to the attic, as well, and look for patches of sunlight coming through the roof. Moisture in the insulation is also a risk. 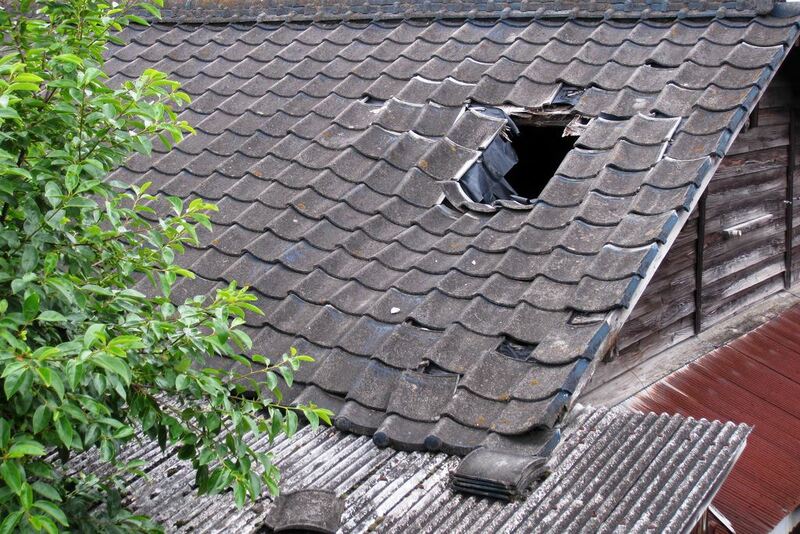 If your roof is getting up there in age or you see any signs of damage, give us a call at Sentry Construction. We will provide a roof estimate to any customer in the Simpsonville, South Carolina area. Our team members specialize in roof installation with a variety of different materials for those in Simpsonville. Roof Installation in Simpsonville – The process of roof installation should only be handled by an experienced, licensed professional. When a novice homeowner climbs up on their roof, the risk of falling is high. Many roofs are sloped and pointed in various areas, making it hard to stay upright. 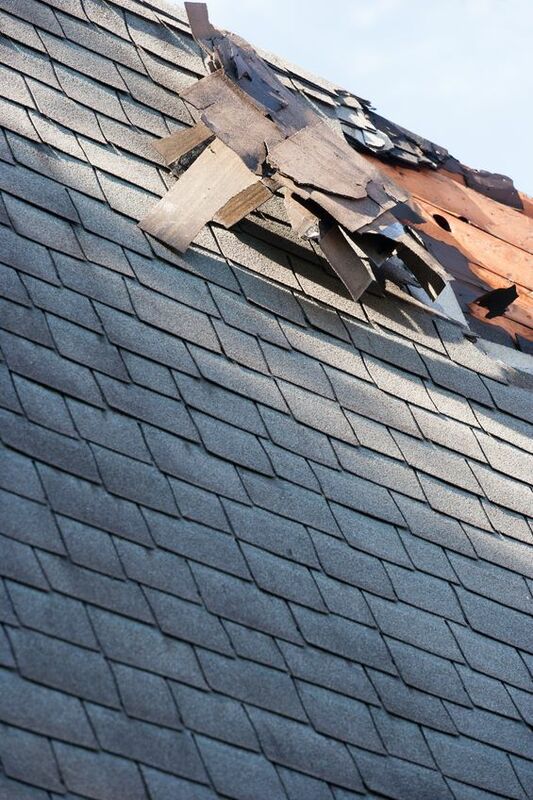 Additionally, older shingles and other materials can give out when they have too much weight on them, causing you to fall through the roof and become injured. At Sentry Construction, our team members specialize in roof installation with a variety of different materials for those in Simpsonville, South Carolina. The most common type of roofing material used throughout the country is shingles, but we also offer metal roofs, which are more durable and last much longer. When we provide roof installation, we start by assessing the current condition of your roof and give you an estimate. This allows you to understand what needs to be done and what to expect in terms of timeline and cost. Once you approve the estimate, we will start right away to remove the old roofing materials. Our team uses equipment and tools to safely remove all materials and cover your flower beds and other areas that could be damaged by falling pieces. We will then install the new roof to protect your building from the elements. If you have any questions or concerns about roof installation, please don’t hesitate to contact us. Our experienced roofers are happy to walk you through the process of roof installation and make sure you feel comfortable before we get started. Our company was founded by two veterans, JD Dugger and Rick Kaucher, who still oversee our comprehensive operations today. Rick and JD met while they were serving in the United States Marine Corps back in 2006. As they were discussing what they wanted to do after their time in the service was up, they decided they wanted to begin a construction business together. They then founded Sentry Construction on the values and work ethic they had gained and learned to appreciate during their time in the military. Today, these values continue to guide our operations and are what inspire us to always pay strict attention to the needs of homeowners. We offer exceptional service for a competitive rate and pride ourselves on always doing the job right the first time. Our goal is to provide you with peace of mind and to take some of the weight that comes from repairing or replacing your roof off of your shoulders. For more information about our services or to schedule a free inspection, please reach out to us at Sentry Construction today. We look forward to hearing from you and to exceeding your expectations every step of the way. If you can time a roof repair in Simpsonville correctly, you may be able to save money and not have to pay as much as the cost of a full roof replacement. Roof Repair in Simpsonville – If you are considering bringing in an expert for roof repair, it’s important to know when you can stick with a repair and when a replacement becomes necessary. No roofing material will last forever, so all roofs must be replaced at some point. 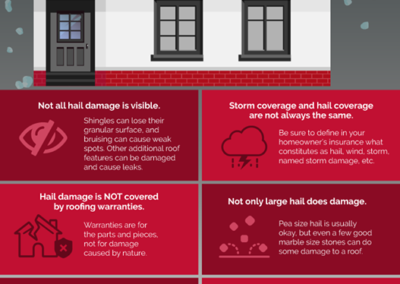 But if you can time a roof repair correctly, you may be able to save money and not have to pay as much as the cost of a full roof replacement. Most shingles are designed to last for 20-25 years at most, so if your roof is older than that, a repair probably doesn’t make sense. 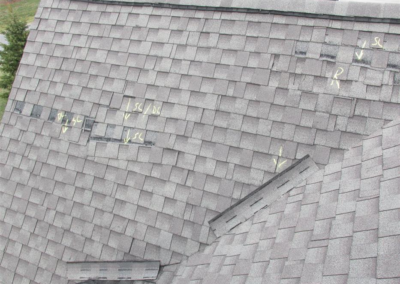 But if you have newer shingles and just a few spots that need repair, then it can be a cost-effective option. 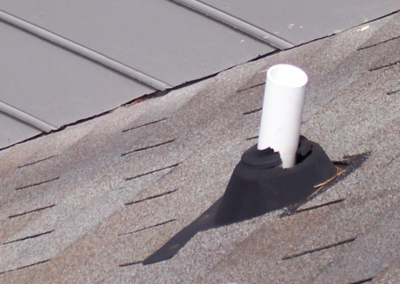 Signs of roof failure include peeling paint on roof overhangs, water stains on pipes that vent the furnace or water heater, wet spots near fireplaces, and dark spots on the ceilings. At Sentry Construction, our roofers are available to provide roof repair in and around Simpsonville, South Carolina. 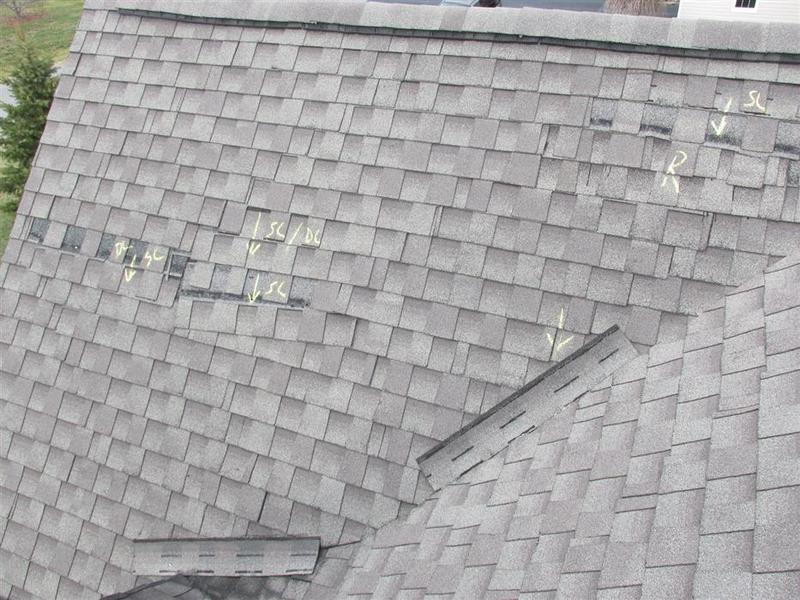 Our roofers can also perform an extensive analysis to determine whether roof repair is a viable option for your building and provide you with a cost estimate for the service. We have been in business for several years, and our owners have over a decade of combined experience in the industry. We are also veterans, so you can feel good about supporting former members of the United States Armed Forces. We take pride in offering top-notch customer service to each and every client we serve. At Sentry Construction, we offer roof replacement and a wide variety of other roofing services in Simpsonville. Roof Replacement in Simpsonville – As a property owner, you will most likely face the reality of needing roof replacement at some point. Shingle roofs typically last for 25 years at the most, and metal roofs can last for up to about 50 years. Whether you live in your home for a long period of time or move into a residence that isn’t new construction, you may find yourself in need of a roof replacement. Our team at Sentry Construction can help you select the perfect materials and install the new roof for you, giving you the peace of mind that your property is protected from the elements. 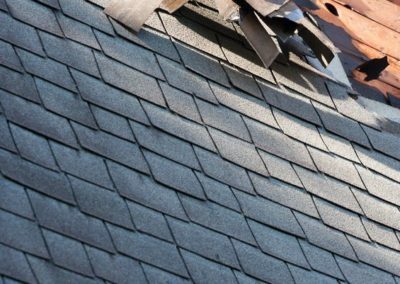 At Sentry Construction, we offer roof replacement and a wide variety of other roofing services in and near Simpsonville, South Carolina. Our company began providing roofing services in the area in 2015 when our two co-owners decided that they wanted to put their years of experience into action and provide a better option for customers in need of new roofs. We offer free estimates and are one of the only companies in the area that specializes in insurance claims. 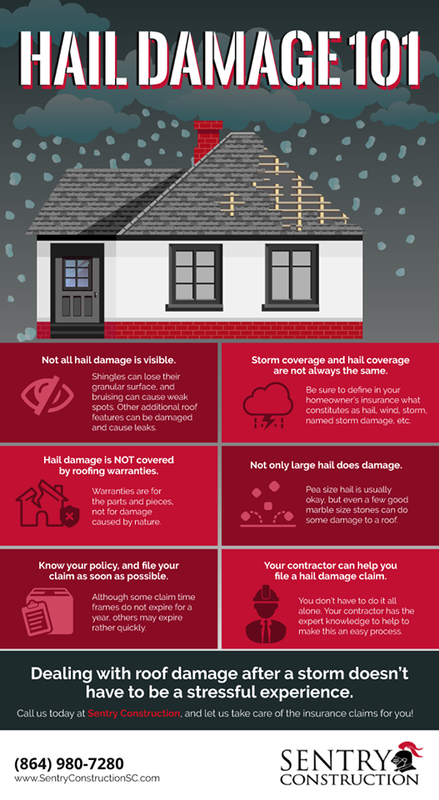 If you have roof damage from a storm or other natural disaster, it is worth looking into the option of having your homeowner’s insurance policy cover the repair or replacement. Our team works directly with insurance companies on behalf of our customers. If you aren’t sure whether you need a roof replacement or if a repair can suffice, give us a call to schedule a complimentary estimate. Give us a call today to schedule a roof inspection on your property in Simpsonville. Roof Inspection in Simpsonville – Having your roof replaced is an expensive venture. 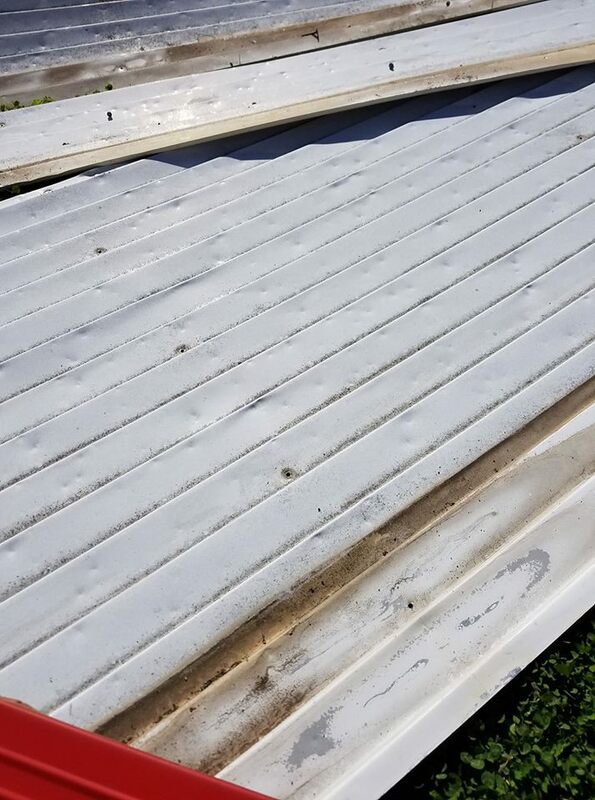 The exact cost varies because it is based on the size of the structure, materials, and amount of labor required to remove the old roof and replace it with the new materials. Many property owners don’t want to worry about their roofs, so they just assume that roofing materials are in good condition and working well, as long as there isn’t water pouring on their heads. Because the majority of building owners don’t spend much (or any) time on their roofs, it’s easy to put it out of the mind. But this can actually lead to more substantial problems that will cost a lot more to fix. 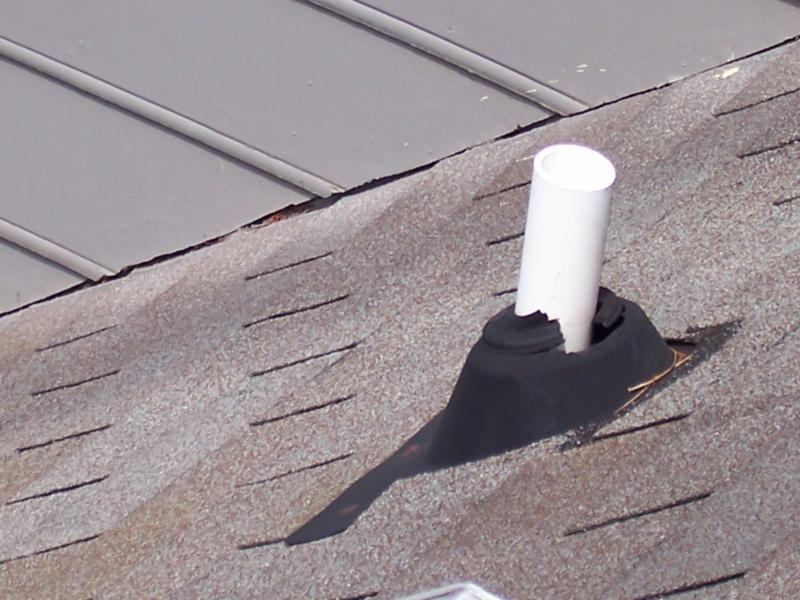 If your roof develops a leaky spot, you will have to fix any items damaged by the water that seeps through. You’ll also have to bring in a mold removal specialist to test for and eliminate any mold that has grown as a result of the moisture. Because of these roofing concerns, our team at Sentry Construction can provide a roof inspection to determine the current state of your roof. We start by doing a full visual inspection, and then we’ll more carefully inspect parts of the roof that may not be in good condition. Once we have completed the roof inspection, we’ll determine whether you need repair or replacement, or if the roof is fine as-is. If we do recommend any type of service, our roofers will give you a free estimate so you know what to expect. Give us a call today to schedule a roof inspection on your property in the Simpsonville, South Carolina area.